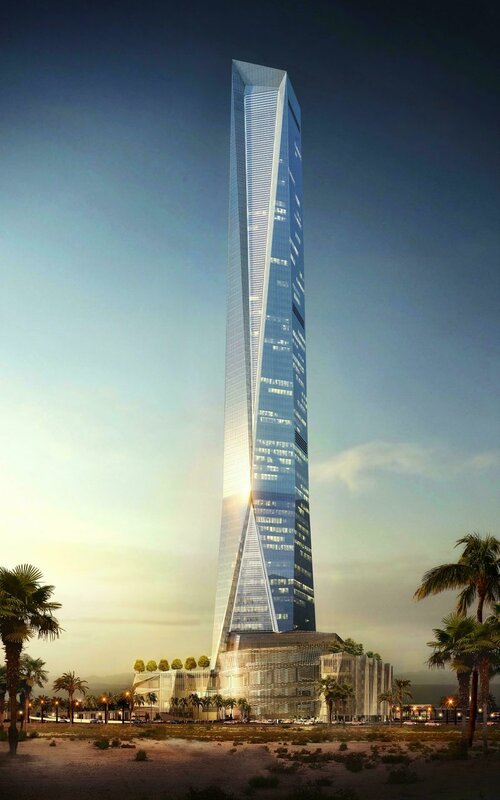 DMCC, the world’s flagship Free Zone and Government of Dubai Authority, and master developer of Jumeirah Lakes Towers (JLT), announced that it has awarded a contract to Six Construct, the entity of BESIX Group in the Middle East, to construct the first super tall tower in its Uptown Dubai district. In April 2018, DMCC partnered with Accor Hotels to bring their luxury lifestyle hotel and resorts brand, “SO/”, to the Middle East for the first time. In August 2018, DMCC also announced that the construction of the district is proceeding at full pace with the completion of piling and raft works for the Uptown Tower. “Winning this contract is a significant moment for BESIX Group, and cements the company’s position as a true market-leader in the construction space. Our track record proved to be an invaluable asset here, and helped us secure a contract that had drawn the attention of firms across the world. DMCC’s Uptown Dubai district is one of the most exciting projects in the region, and we look forward to working alongside DMCC to supply Dubai with a truly unique destination on every level” said Olivier Crasson, General Manager Business Unit Middle East, BESIX Group. Uptown Dubai is a world-class smart district innovatively designed to deliver a new urban destination for people to live, work and thrive in the Jumeirah Lakes Towers (JLT) area. Developed by DMCC, the new district will include more than 10 million sq/ft of Grade A commercial and residential space, over 200 retail and F&B outlets, approximately 3,000 residences, and a number of luxury hotels. 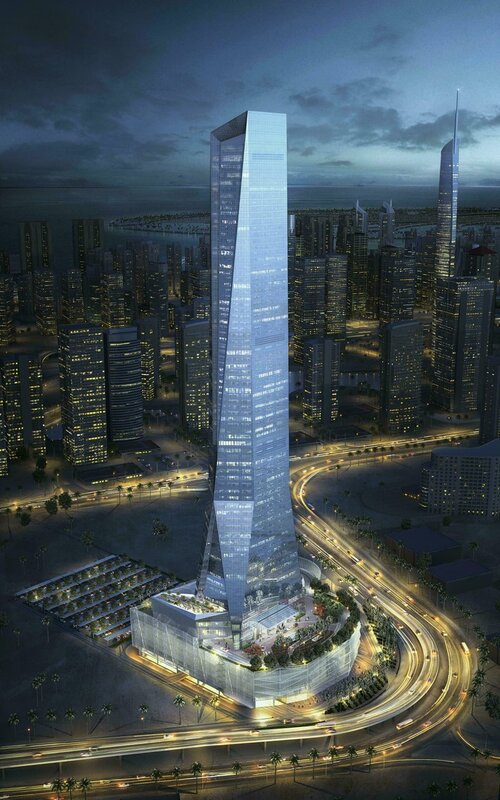 Uptown Dubai will be anchored by two iconic super-tall towers designed by internationally renowned architects Adrian Smith & Gordon Gill, comprising luxury hotel rooms and suites, high-end restaurants, health spas, extensive conference facilities, Grade A offices, and 237 uniquely designed branded residences. Headquartered in Dubai, DMCC is the world’s most interconnected Free Zone, and the leading trade and enterprise hub for commodities. Whether developing vibrant neighbourhoods with world-class property like Jumeirah Lakes Towers and the much-anticipated Uptown Dubai, or delivering high performance business services, DMCC provides everything its dynamic community needs to live, work and thrive. Made for Trade, DMCC is proud to sustain and grow Dubai’s position as the place to be for global trade today and long into the future. Six Construct, the entity of BESIX Group in the Middle East, is the largest Belgian construction company operating in the Middle East. The company combines the efforts of a highly-skilled workforce, along with strategic planning and innovative use of technology to overcome the most complex business challenges. Six Construct is a multi-services company that operates in the construction of commercial and residential buildings, sport and leisure facilities, infrastructure, environment and marine-related projects. The company currently employs a workforce of 12,000 in the Middle East, and a total of 15,000 worldwide. Having entered the Gulf market in 1965, Six Construct is proud to celebrate its 54th operating anniversary within the region. Since the company’s first contract over five decades ago at the Abu Dhabi Corniche, Six Construct has worked diligently, using its experience and expertise to contribute to the Gulf region's development of various award-winning construction projects. The company has had the honour of working with a very unique portfolio of projects and clients over the years, including among others, the world’s tallest tower - The Burj Khalifa, The Dubai Tram, The Emirates Palace Hotel, Sheikh Zayed Grand Mosque, Dubai Water Canal, The Green Planet, Ferrari World Theme Park, LEGOLAND, The Khalifa Stadium, as well as King Abdullah Sports City in the Kingdom of Saudi Arabia.